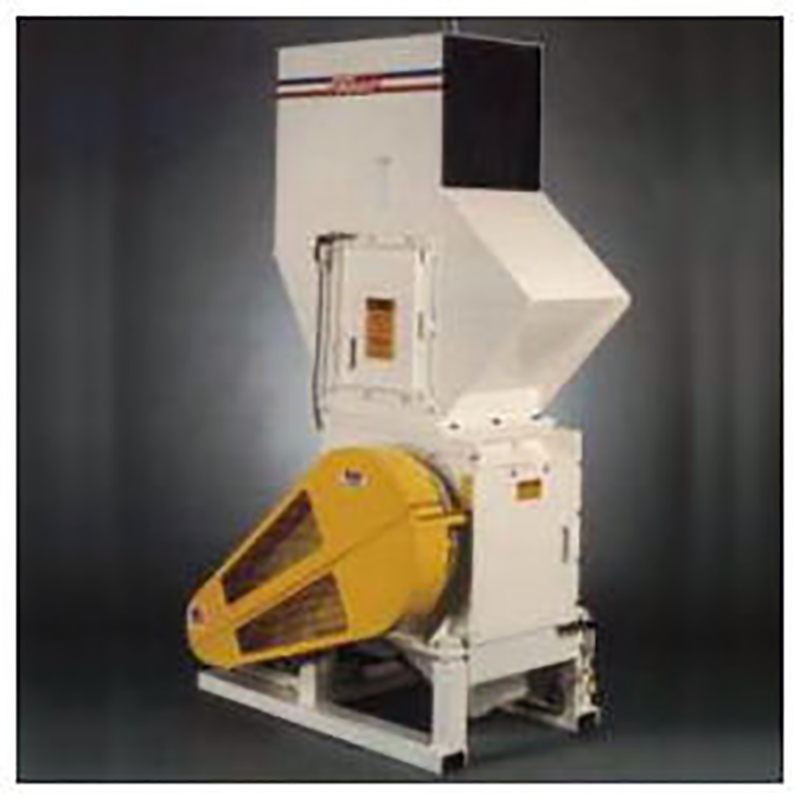 Heavy Duty Granulators HD-7 – Foremost Machine Builders, Inc. The LD-7C scrap grinder is specifically designed and built to granulate either large parts or high volumes of scrap material. With its large throat size of 24″ x 24″, offset cutting chamber and rugged construction, large molded parts can be readily granulated without the need for pre-cutting. This grinder features a standard two-bladed rotor. The SHD-7A scrap grinder utilizes the same chamber construction with a skewed four-bladed high shear rotor. It is an ideal machine for applications such as post consumer scrap recycling, and PET bottle and preform grinding. Each machine’s rotor is single end driven supported by heavy duty, sealed roller bearings. The offset position of the rotor in a completely welded cutting chamber provides bounce-proof, positive cutting action. The standard unit is equipped for hand feed or conveyor feed operation with a blower discharge chute. A full range of standard and custom configuration options are available to fit the user’s application requirements.